Control Disc System (SINGLE) for Rane Twelve - CUSTOM 12"
Click the button below to add the Control Disc System (SINGLE) for Rane Twelve - CUSTOM 12" to your wish list. The control disc and spindle adapter have been designed to provide maximum performance for a control surface on the Rane Twelve. 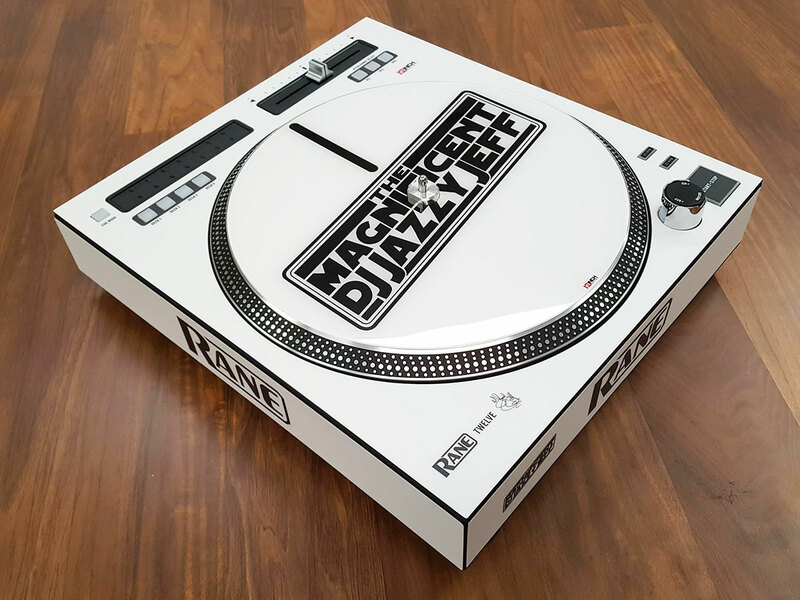 This system allows you to use 12inchSkinz control discs similar to records in that you can freely place or remove them from the Rane Twelve platter. The ultra smooth surface provides a tacky feel and "licking" the fingers is no longer needed. The spindle adapter is easily installed with the same "allen wrench" hardware provided with the Rane Twelve. Once the spindle adapter is installed to your Twelve, you simply place the control disc over the spandle adapter and done. Customization: 12inchskinz uses the highest quality digital printing methods to create stunning colors in high resolution. Similar to our custom Serato control vinyl, we print directly to the bottom side of the control disc which leaves the "picture" side 100% optically clear. The final product will look as good as the quality and resolution of the graphics you provide. Grip Groove: Discs are offered with in 3 diffrent texture surfaces which offer a diffrent feel. Control Disc OEM (SINGLE) for Rane Twelve - CUSTOM 12"